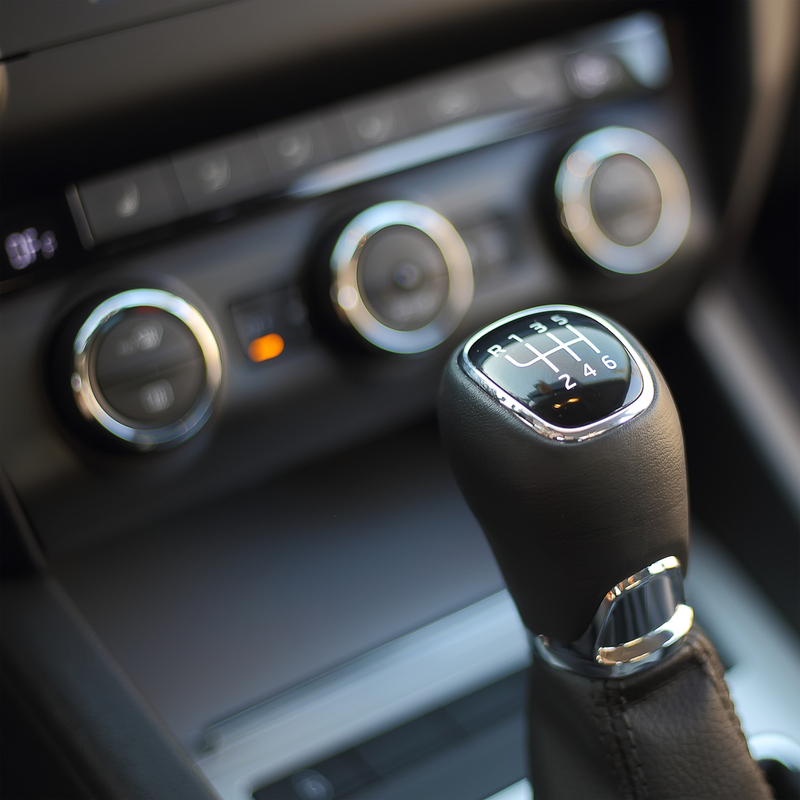 If you are thinking about getting a new car, you may be wondering whether a manual or automatic transmission is better. Traditionally, America has had a pretty strong preference for automatics, but the people who drive stick really swear by it. If you aren’t sure which option is best for you, take a look at these pros and cons of manuals and how they compare to automatics. 1. Sometimes cheaper MSRP – Manufacturers often charge their lowest prices for manual transmission, precisely because they know that there won’t be as many takers. For those who either already know how to drive stick or are dedicated enough to learn it, opting for manual can knock as much as $1000 off their car’s asking price. 2. Generally involve fewer repairs and less maintenance – Manual transmissions are made of simpler components, decreasing the number of malfunctions that they experience and making the problems easier and cheaper to fix. Even the transmission fluid for manual vehicles is longer-lasting and, thus, doesn’t require as many visits to the shop. 3. More control over vehicle – This is the single biggest draw of manual transmissions. Because you switch gears yourself based on the speed of the vehicle, you have ultimate control over it. This can make for a far more thrilling driving experience, which is one of the reasons that the option is featured prominently in certain sports cars. 1. Harder to learn – Stick shift is notoriously difficult to learn, especially for those unused to it. Once you’ve picked up on it properly, manual becomes second nature, like anything else, but you’ll have to expect some stalling before that. Since this isn’t an issue with automatics, many people simply opt to avoid the frustration by sticking with them. 2. Fewer on the market – The number of manuals available on the market has been dwindling in recent years, with 693 models available in 2007, dropping to only 448 by 2012 . In addition, the types of vehicles that are available with manual transmission are no longer diverse – mostly compacts, a few sedans, and some sports cars. 3. Bad in traffic and on hills – Because you have to be constantly changing gears when speeding up and slowing down, traffic jams are veritable nightmares for people with stick shifts. And if you have any problems changing gears on a hill with a manual vehicle, you may just find yourself sliding backwards into the middle of an intersection (San Francisco would be a terrible place to learn stick!!). 1. Comparable fuel efficiency – Manufacturers have been doing a lot to make automatics more efficient, the result of which is that fuel efficiency is roughly the same in manuals and automatics. Some models are a little better on one side or the other, but essentially, you can find an efficient car of either variety. So the factors listed above should play more heavily on your decision. 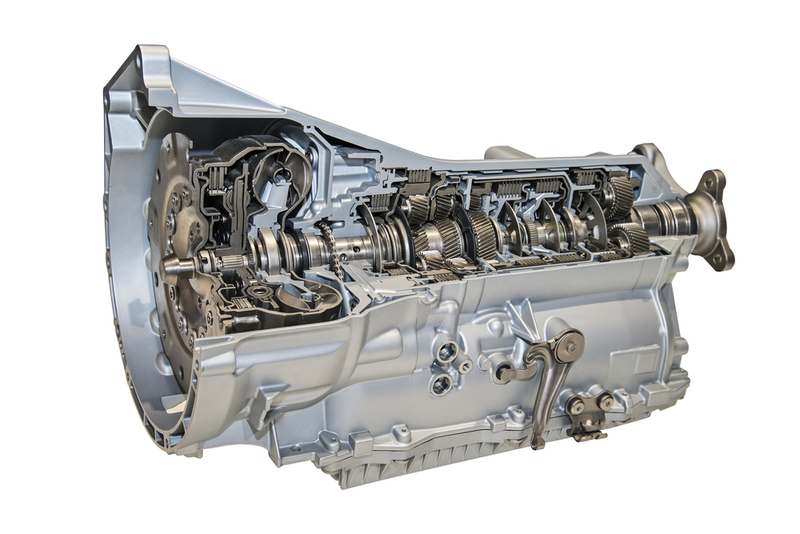 Whether you get a manual or automatic, your transmission is one of the most important parts of your car. Lowndes County Transmissions reviews your vehicle’s issues and can repair any problems that they find. Call us today at (229) 247-8992! Not Maintaining or Repairing Your Transmission – Transmissions are notoriously expensive to replace, so repairing small issues and maintaining the component is essential. Transmission fluid should be changed on schedule so that it can continue its job of lubricating and cleaning. If you notice grinding, slow gear switching, or leaking transmission fluid, you should have the vehicle checked immediately. Paying a bit now for these things will help you avoid a massive bill later. 2. Shifting Gears while Moving – If you are trying to switch from Reverse to Drive or vice versa, and you don’t come to a complete stop before doing so, you are damaging gears in the transmission that will eventually break. Once this happens, there’s no fixing the problem and you will have to completely replace your transmission. The solution is simple: always come to a stop before shifting gears. 3. Fast Stopping and Going – As appealing as this might be to drivers who dream of becoming the next NASCAR star, it’s damaging to the transmissions of most average vehicles. This type of treatment causes the transmission to overheat, which can burn the fluid and turn it to varnish that has no hope of lubricating. It also damages components and causes your gears to start slipping. Sooner or later, fast stopping and starting will cause the transmission to fail entirely. Gradually speeding up and slowing down is an easy way to lengthen the life of your car. 4. Towing Too Much Weight – This places unnecessary strain on your transmission and is likely to make it overheat. This will cause many of the same problems as fast stopping, in addition to damaging the clutches. While these can be replaced, the job would require literally disassembling the transmission, which will cost you a ridiculous amount in labor. To avoid this eventuality, check your car’s manual to find out your maximum tow capacity and don’t go over it! 5. Flooring It When You’re Stuck in Mud, Snow or Sand – We know that getting your car stuck anywhere is frustrating, but resist the temptation to floor it when trying to liberate yourself. Not only could it be dangerous if you are putting enough pressure on the gas to be going 110 MPH and suddenly gain traction; it could also make your vehicle overheat and cause all of the related problems we mentioned before at an alarmingly fast rate. Instead, try to dig yourself out, place cat litter or cardboard underneath the tires to provide some traction, or put the car in neutral and try to push it. If all else fails, get assistance. There are some great Lowndes County, Georgia transmission repair shops with great reviews. However, you can put off that visit until you actually need it by avoiding the above behaviors. 1. Your “check engine” light is on – While this could obviously mean a number of things, one of the major issues that the sensor detects is transmission abnormality. So if you see the “check engine” light and notice one of the following problems as well, the chances of it being a transmission issue are pretty high. 2. Your car has trouble switching gears – If you notice that when switching gears, the car seems to kind of stall or catch before doing what it’s supposed to, you may have a pretty serious transmission problem. Also, you may notice an odd clunky sound when switching gears that may indicate the same issue. 3. Your transmission fluid is brown or black – Transmission fluid is supposed to be bright red or sometimes pink. If you use a dipstick to test and come out with a gloopy looking brown or black substance, then it is dirty and needs to be flushed out. Dirty fluid won’t lubricate or clean your transmission, which could stall your car or make it run unevenly. This is the last thing you want when on the road. 4. Your car is leaking red, brown, or black fluid – This will be your transmission fluid, in whatever state it happens to be currently. And the thing about transmission fluid is that it’s not meant to come out at all or be transferred anywhere. In fact, the only time that transmission fluid is moved is when it’s being changed out for cleaner fluid. If you notice that your fluid is leaking, don’t wait! Get it fixed immediately. Without the fluid, there won’t be anything to lubricate the transmission, which could make your car overheat, wear down the machinery more quickly, and eventually stop your car from running entirely. 5. Your transmission is making strange noises – Depending on whether you have manual or automatic transmission and the type of noise that the car is emitting, this could be a symptom of a couple of things. For instance, grinding could indicate low transmission fluid or a problem with the gears. Regardless of whether you hear whining, whirring, or grinding, you’ll need to repair your car soon to avoid worse issues down the road. These are just a few of the signs that your transmission may be faulty. If you see any of these or other worrying indicators, get to a transmission specialist immediately!